Carvel Lee Ausborn was better known by his stage name, Mississippi Slim, was a hillbilly singer who had a radio show on Tupelo‘s WELO during the later 1940s. Ausborn was born in Smithville, Mississippi. According to Peter Guralnick, he had taken up guitar at the age of 13 to pursue a career in music. He was inspired by Jimmie Rodgers, Hank Williams, Ernest Tubb and Ausborn’s cousin Rod Brasfield, a then prominent country comedian who toured with Hank Williams. 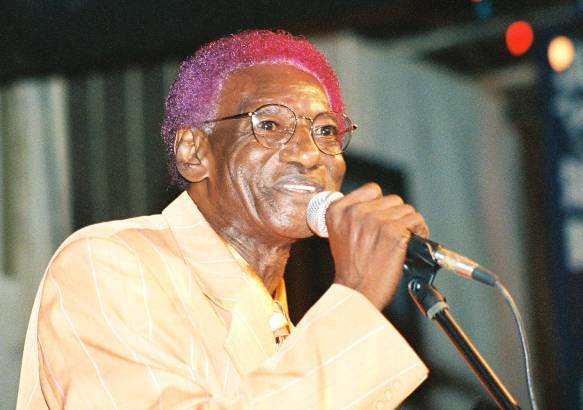 Slim travelled all over the country with Goober and His Kentuckians and the Bisbee’s Comedians tent show and even joined the Grand Ole Opry once or twice, largely on the strength of his cousin’s connections. He also became known as one of Elvis Presley‘s first musical heroes and critics. 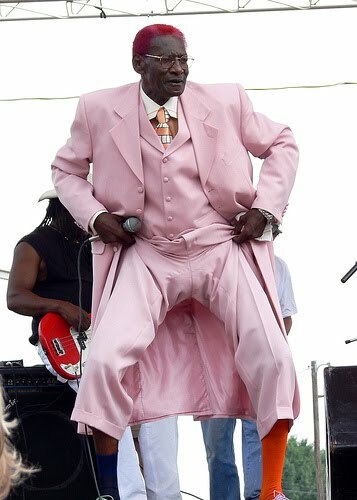 Mississippi Slim passed away April 14, 2010. This entry was posted on April 15, 2010 by kterrl. It was filed under Uncategorized and was tagged with hillbilly singer, Mississippi Slim, Tupelo's WELO. Unfortunately the man in these photos is NOT Carvel Lee Ausborn. He was a white man so there is a huge problem here.